Another night, and once again - you cannot fall asleep. Time goes by so slowly! (Madonna knew what she was singing about) And you know that it’s crucial for your health and well-being to have a good sleep. However, you feel more and more frustrated because what you actually do is tossing and turning all night long. A voice is creeping in telling you to not stress yourself out, yeah RIGHT! But what is stress? We know that to some degree stress can be a strong motivating factor. 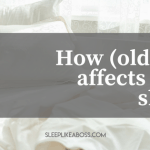 Unfortunately, additionally to sleep problems, too much stress can actually cause poor concentration and work mistakes, anxiety and even depression. As you see, your nights could affect your day-time activities. What are the most common reasons for stress? Moving to another country or even continent. 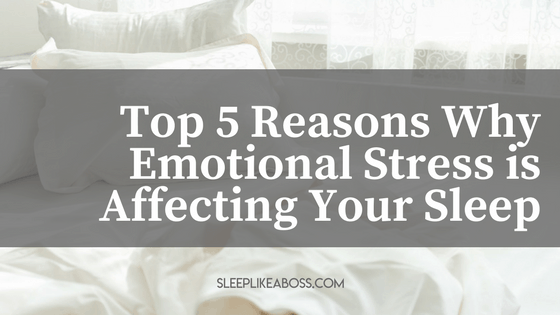 Sadly, this is one of the most common stress factors that makes people stay awake at night. There are a lot of reasons that cause financial stress - worries about debts, or not having enough money, risky investments or gambling problems. In an ideal world, all people love each other and we’d be one big happy family. However, even in the most romantic relationships there are times when negative feelings like doubt, anger, jealousy, guilt, lead to strong emotional stress. This is normal but should also not be underestimated. Is your life a rat race? Are you in a constant competition with other people? Then it doesn’t come as a surprise that your body, your brain, cannot properly relax and drift off to dreamland. You brain needs time to process things and if it doesn’t get that time during the day, it will claim it at night. 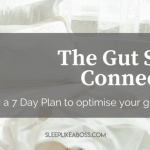 So, do you often wonder how to manage unhealthy levels of stress? Taking a series of deep breaths will saturate your brain with oxygen and you will feel more tranquil. The same happens when you try progressive muscle relaxation or meditation. I suggest the Calm app to a lot of my clients. Aromatherapy? A Pleasant Way to Feel Good! Check your daily routine, your to-do-list and decide what is really important for you and what is only waisting your time and nerves. A nice, calming music before bedtime could have a very positive effect on your nervous system. Practice some sports or any other physical activity that makes you happy. These tricks work well with most of the men and women who suffer from insomnia. However, if you continue to have sleep problems, it might be helpful to contact a professional (hint, hint).